What do I know about David’s new musical direction? Zilch. What do I think I know about David’s musical direction? Plenty. I have carried myself off the past couple of weeks to a remote part of the world in the Basque Country of Spain with no great wifi but with plenty of great tapas (pintxos in Basque language). I run away from my crazy real life every now and again to another kind of real life or, should I say, a truer life. 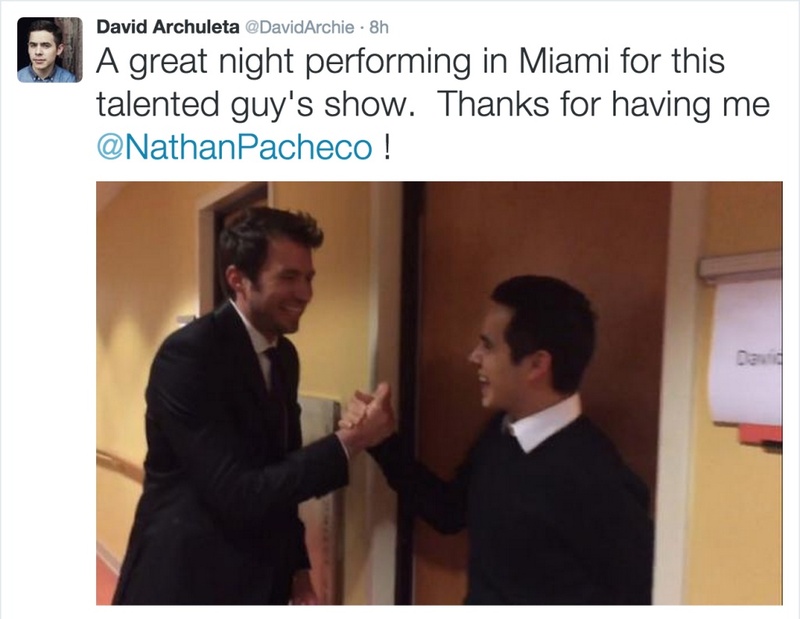 I missed posting his Miami stint at the Nathan Pacheco’s concert. Every Archie must have heard and loved their duet of The Prayer by now. Although I prefer David’s solos to his duets, it was with excitement and relief that I managed to hear The Prayer through the semi-non-existent crackling sounds of poor wifi, waking me from rustic retardedness to sudden archudom alertedness, once again filling me now with all kinds of half- baked opinions and analysises. 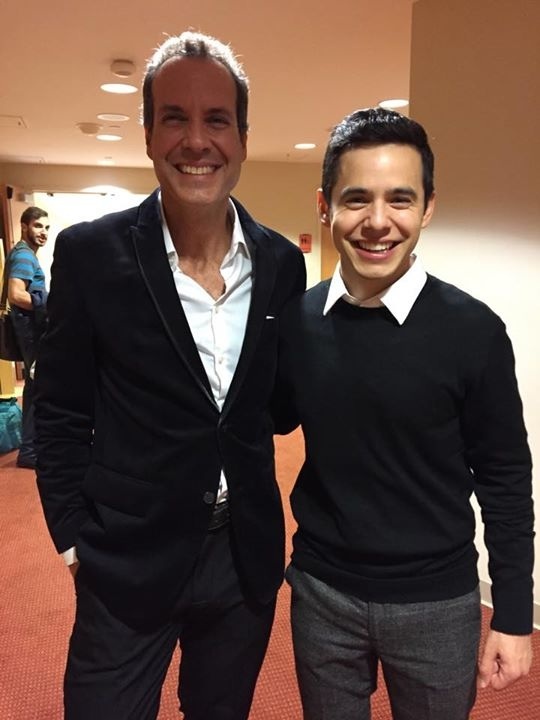 Both David and Nathan have beautiful voices. The Prayer is a song written for beautiful voices like theirs to uplift and haunt the spirit of listeners. Nathan’s interpretation soared through the musical notes into my sense of appreciation, making me smile and making me hope for more. David’s interpretation of the same song soared straight into my heart, making me smile with tears, knowing that my spirit would be haunted for as long as my heart breathes. Does this song give us an indication of David’s new direction? – the question that perpetually bothers us. Voice-challenging opera-esque songs? 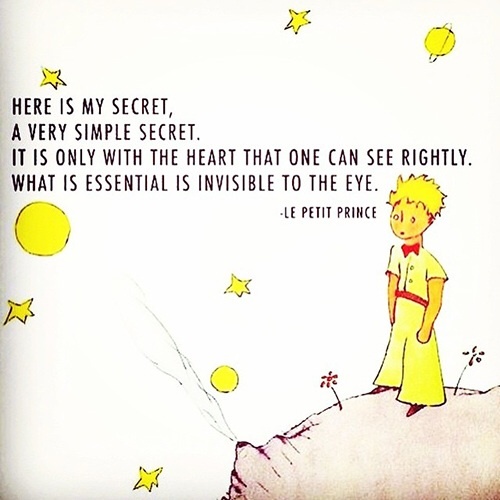 .. Or does his heart of hearts still incline towards Pop? .. Or perhaps Pop laced with a little more soul?.. Why sing MKOP and CRUSH when the hard-hitting Prayer is the meat of the repertoire and will grab all the evening’s attention? Was it to convert an “egghead” audience or to demonstrate his musical versatility? Or was it his determination to remain age- appropriate? There always emerges an abundance of angles and sides to David if one decides to do an analysis of him. And the tough gets tougher. I will have to talk about this pic before I rattle off with some form of cohesion, hopefully. No luxuriant hair .. ruffled or helmet-like .. no possibility of talk of it being too short or too uncool .. no Missionary get-ups to define or re-define him .. no glossy, distracting boots (luv ’em!) 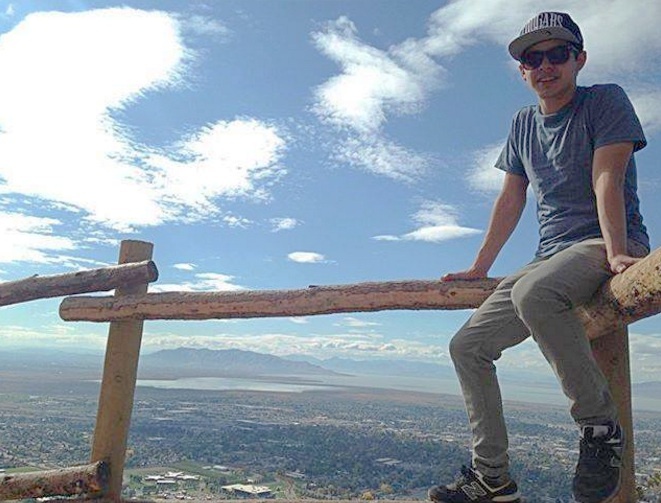 .. just a young man enwrapped in an incredible musical talent .. pure in heart .. pristine in attitudes .. happily communing with Mother Nature .. sending infectious vibes to all those who love him. More importantly, to continually renew his heart connection with them all. HIS DESIRE and ENDEAVOUR to make his listeners FEEL THEIR OWN EMOTIONS vide his HEART’S VOICE and MUSIC. Glad that David relates to that sentiment too. There is no specific direction. He does not have one. He just sings with his heart and from his heart. He just makes people Feel. And it’s all up to us to receive that emotion from him. He has not the kind of direction the way most of the listening masses see it ..or the way the music production companies see it. Non-fans don’t get it. 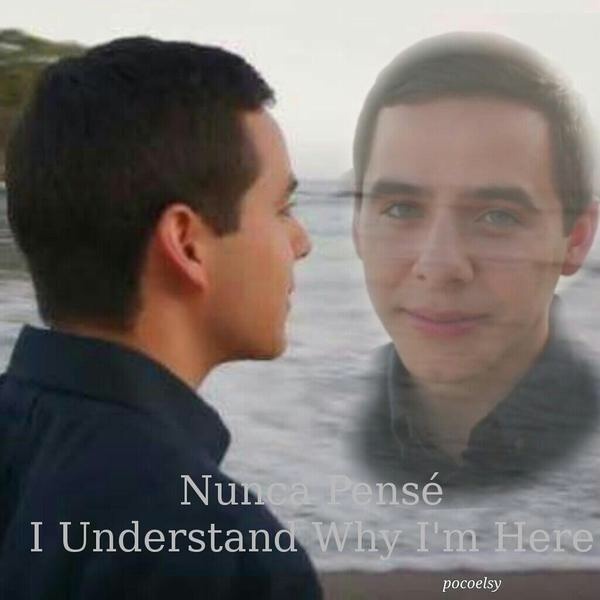 Many Archies too, admittedly , are somewhat confused. And I dare say, even David himself would confess he does not get himself either, despite his firm conviction that he is at one of his happiest while belting out a song .. any song: from the playground of Pokemon (what is that? I asked myself, scratching my head in ignorance) to the heavenly altars of The Prayer. 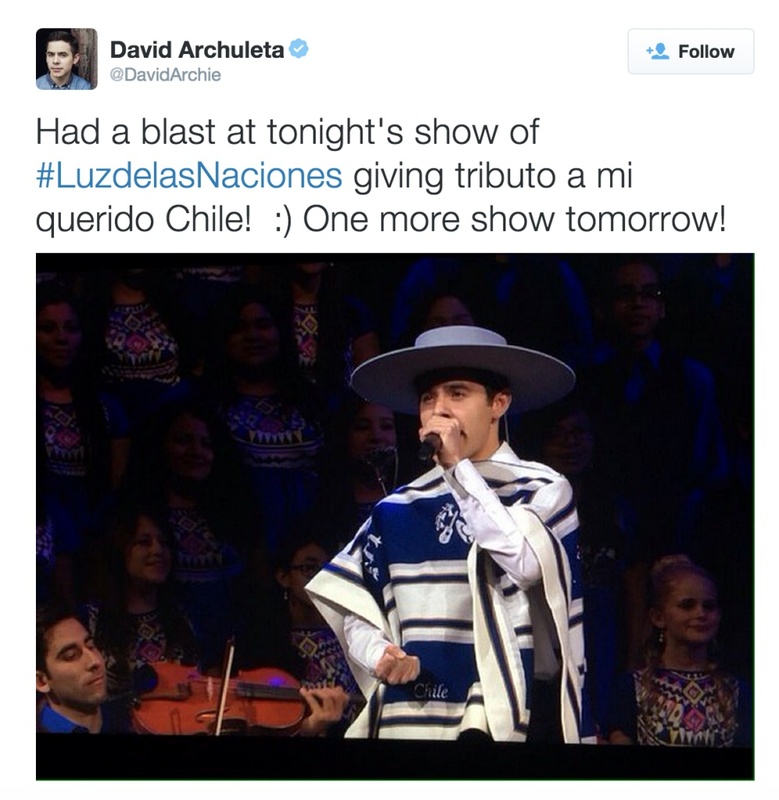 And a good direction too, I must say…..
Much of David’s heart is connected with the people with whom he came in contact in Chile, the country where he spent 2 years immersed in guiding their spirituality, much done through the beauty of his voice and his heart connection with them. I love this article! “There is no specific direction. He does not have one…David is in no great hurry to meet with the world’s approval. But he will continue to touch the world; touch the hearts of those who would listen. That is his musical direction”. We will continue to be surprised, confused but simultaneously blown away, and touched, by this artist. Thank you for articulating what many of us feel. This is a very insightful article, and I enjoyed it. Thank you. Hey everyone!!! I wouldn’t be asking but I’m desperate!!! I really want to win this David Archuleta meet and greet! Please just click the link or picture and like the picture! It’ll take 3 second! If you all like it then that can put me back in first! Please please please!! From one fan to another this will be huge! Just click the link and like the photo!